Watson played a mix of new and old songs, making sure to touch on some classics from The Morning while balancing the set with plenty of songs off his more recent release, Midnight. The crowd was the loudest by far during “Sink or Swim,” as he asked the crowd to sing along, and they completely obliged and lost themselves in the music. Interacting with fans throughout the set, Watson kept the crowd engaged, and constantly enthralled by his voice. While he apologized for being unable to afford to bring his band along with him, the stripped-down, more intimate setting was truly magical. My favorite part, a staple of any Lewis Watson show, was when he came into the middle of crowd to sing his rendition of “Made Up Love Song #43,” a cover of the band Guillemots. Turning in circles while he held his guitar, and singing without any amplification, his rendition was a clear standout of the night. Splitting the crowd in two, the audience sang through repeated chants of “yes, I believe you,” and a wordless melody, that sounded ethereal when combined. The most touching part of the night was during Watson’s song, “Halo,” which he wrote to convince a friend that they were worthy. Through hugs and hands held in order to muffle sobs in the crowd, while Watson cooed the lyrics, “It’s a wonder you don’t know, how wonderful you are,” the venue became a small community of sorts, where love was being spread all around. 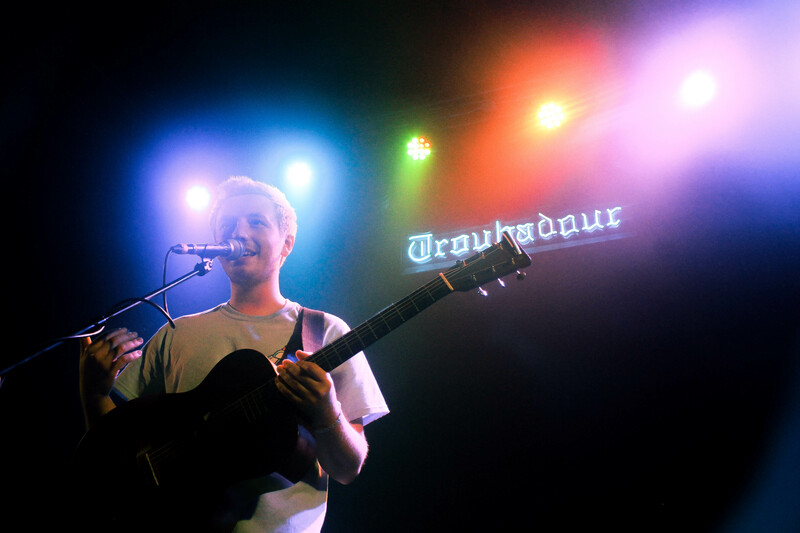 Seeing Watson at the Troubadour was an enchanting experience, between his involvement with the crowd, his stellar vocals, and his lulling guitar. The small venue size and acoustic nature of the show overall made for an incredible night. Be sure to catch Lewis Watson at World Cafe Live in Philadelphia on May 21st, or at any of his US tour dates, which can be viewed here. Check out the gallery below for all photos from the night (click for HQs).